You are here: Home > MCSD News & Alerts > MCSD News & Alerts > CMS News > Boys Basketball – Muscatine Y – Register by Saturday 9-17! 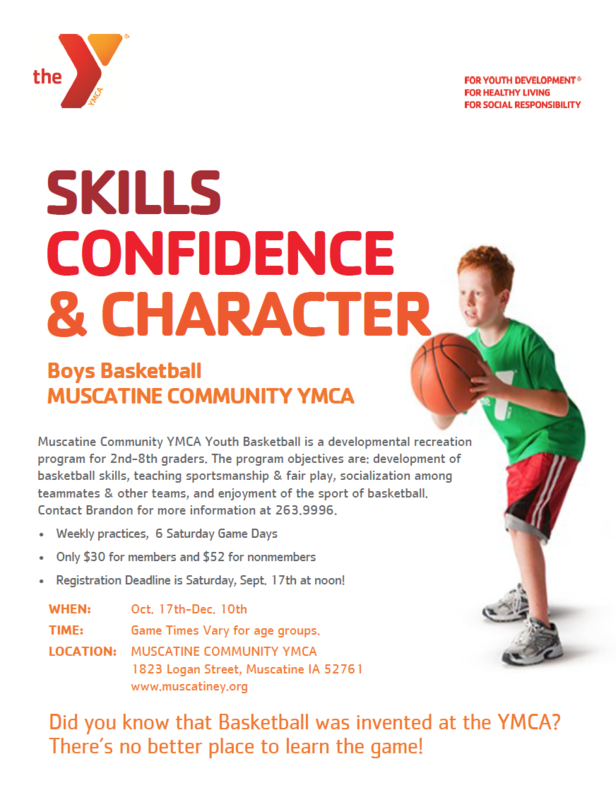 Muscatine Community YMCA Youth Basketball is a developmental recreation program for 2nd-8th graders. Contact Brandon for more information at 263.9996. Registration Deadline is Saturday, Sept. 17th at noon!